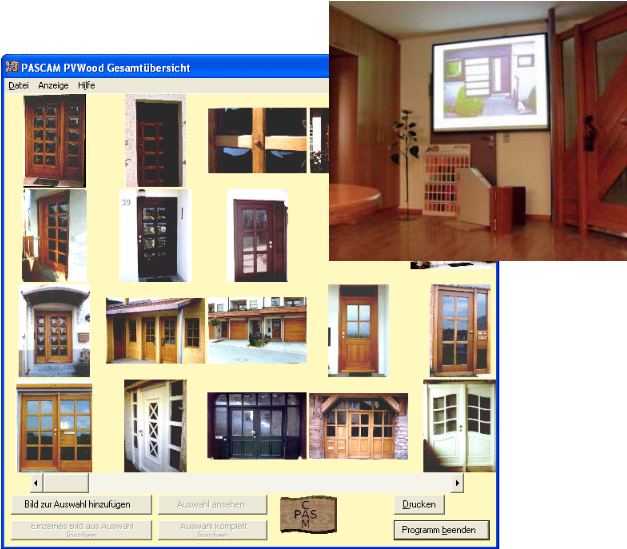 The free picture viewer PASCAM PVWood serves for the professional presentation of your product models to your customers. Easy-to-use and fully integrated in PASCAM WoodWorks this powerful tool is designed to publish your model pictures in a clear and meaningful way. Especially when used with a projector in your showroom or on site at your customer.